Memorial Day is a few days away and I'm on the search for the perfect potluck bring along. I'm trying the all time classic Seven Layer Magic Cookie Bars by Eagle Brand. 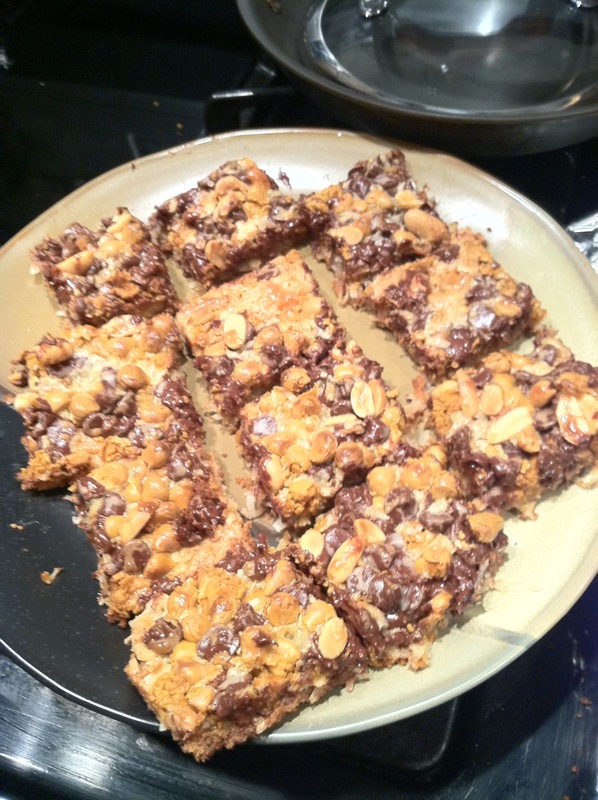 I'm only posting my revised version of the recipe one look at the original recipe and I knew it needed serious overhauling to work/ The bars are delicious but really sweet, I'm actually sending them in to work with my husband that'll be the real taste test! These bars are easy, delicious and my new and improved recipe you might just have you be mistaken for Mrs. Cleaver at your next dinner party (everyone's secret dream)! 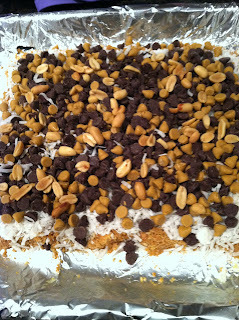 For perfectly cut cookie bars, line entire 13 x 9-inch pan with foil, extending foil over edge of pan. 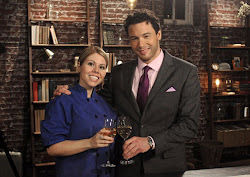 Coat lightly with no-stick cooking spray. After bars have baked and cooled, lift up by edges of foil to remove from pan. 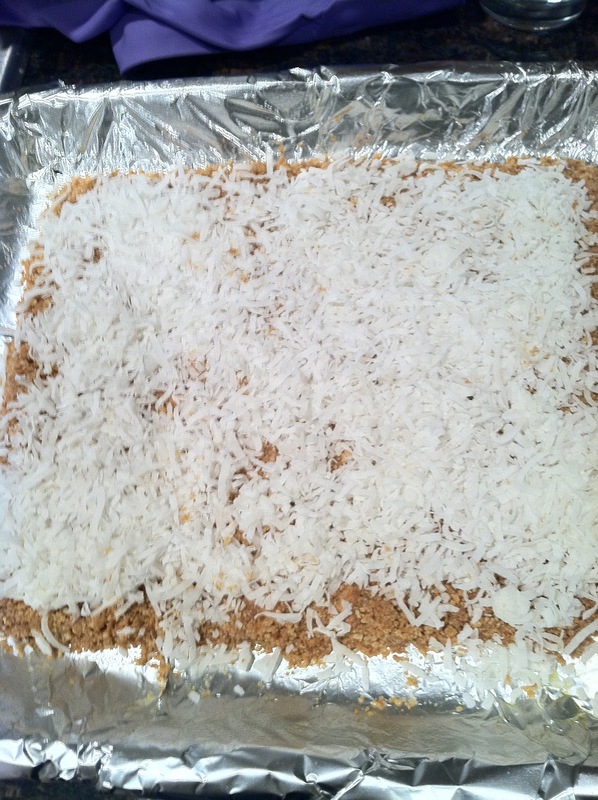 Cut into individual bars. 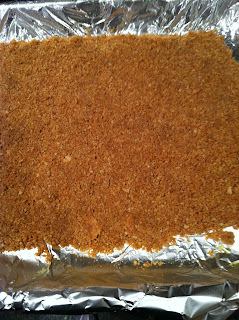 COMBINE graham cracker crumbs and butter; mix well. 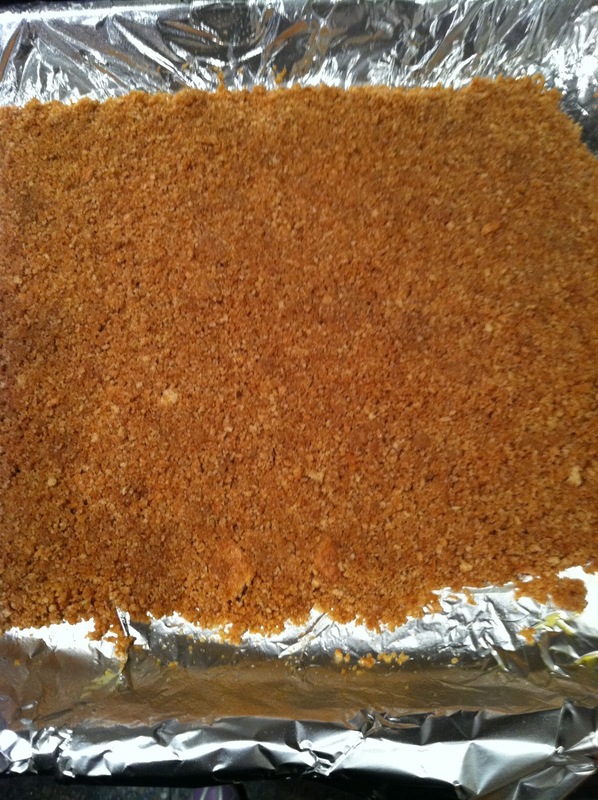 Press crumb mixture firmly into bottom of prepared pan. 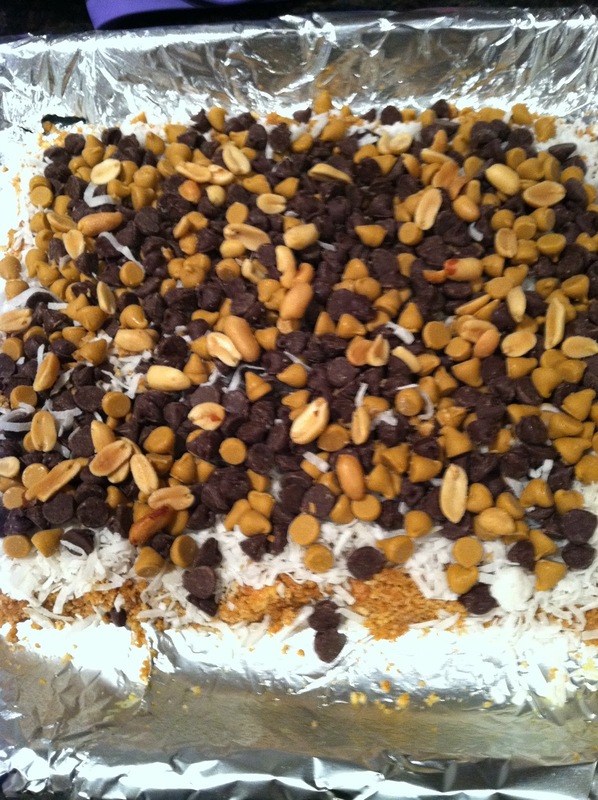 Layer first coconut, chips, then peanuts and top w/ sweetened condensed milk. BAKE 25 to 30 minutes or until lightly browned. 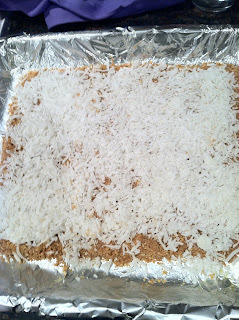 Allow to slighlty cool , chop off sides for clean cut bars. Cut small they're very rich. Enjoy!! Awesome. I had to make three batches for all our holiday festivities!